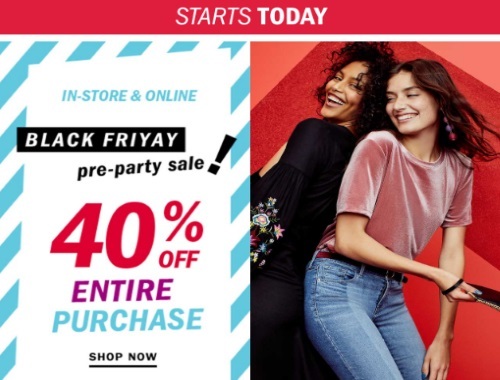 Old Navy has a Black Friday or FriYay as they are calling it Pre-Party Sale! Save 40% off your entire purchase! No promo code is needed, discount will be applied at checkout online and in-store. Offer is valid November 15-21, 2017. Also get ready because tomorrow starts their 5 Days of Cray, get ready for some insane deals.